If you look six months pregnant after a meal, this info's for you. IBS symptoms include intense bloating, cramps and diarrhoea. Most of us have been there: you're out and you eat a delicious meal, and half an hour later your stomach has suddenly grown to be able to comfortably house a baby. This is usually the point where we unbutton our jeans, or go home and swap into stretchy slacks, go to bed and cradle ourselves until the pain goes away. If this is happening on a regular basis, you may have irritable bowel syndrome (IBS), which is just as irritating as it sounds. One main reason why some people have this uncomfortable reaction to certain foods (or meals which contain these foods) is because they are high FODMAP. "FODMAP stands for fermentable oligosaccharides, disaccharides, monosaccharides and polyols, and they are the different types of carbohydrates or sugars that either don't digest, or don't absorb well, in the gastrointestinal tract," Chloe McLeod, accredited practising dietitian and The FODMAP Challenge director, told The Huffington Post Australia. "These can cause things like bloating, stomach cramps, constipation, diarrhoea or reflux. Obviously this is very uncomfortable and it's something people would like to avoid." What's a low FODMAP diet? FODMAPs are a collection of short chain carbohydrates and sugar alcohols found in foods naturally or as food additives. FODMAPs include fructose (when in excess of glucose), fructans, galacto-oligosaccharides (GOS), lactose and polyols (e.g. sorbitol and mannitol). A diet low in FODMAPs is scientificallyproven and is used internationally as an effective dietary therapy for irritable bowel syndrome (IBS) and symptoms of an irritable bowel. Such symptoms include excessive wind (flatus), abdominal pain, bloating and distension, nausea and changes in bowel habits (diarrhoea and/or constipation). An estimated 35 percent of the Australian population have intolerances to one or more of the above FODMAPs. However, not all FODMAPs will be symptom triggers for all patients. By controlling and managing the consumption of foods that contain the FODMAPs triggering their symptoms, individuals can significantly reduce or even eliminate their IBS type symptoms. For people experiencing IBS or IBS type symptoms, reducing your intake of high FODMAP foods can significantly help with managing these symptoms. "A low FODMAP diet is specifically helpful for IBS, but sometimes people with other gastrointestinal problems such as coeliac disease or Crohn's disease can find relief through following a similar style diet because IBS can often go hand-in-hand with those," McLeod told HuffPost Australia. High FODMAP foods are things we often eat every day, which can make finding your IBS symptom triggers difficult. 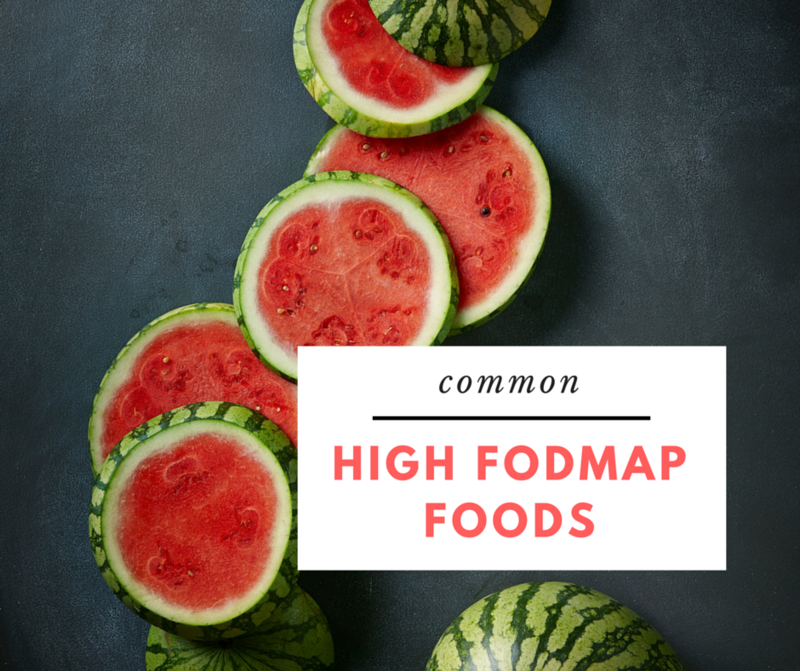 Here are common high FODMAP foods. "Two of the most common ones are garlic and onion," McLeod said. "Although these are really healthy for you and important for good gut bacteria, people with IBS often need to be quite careful with garlic and onion. For someone who doesn't tolerate the fructans in the garlic or the onion, they will be a problem. "Some of the everyday high FODMAP foods are apples, pears, watermelon, mushrooms, avocado, lentils, chickpeas, kidney beans, milk and yogurt, bran, bread and pasta." Other high FODMAP foods include asparagus, artichokes, leek bulb, sugar snap peas, onion and garlic salts, beetroot, Savoy cabbage, celery, sweet corn, mango, nectarines, peaches, plums and rye and wheat products. Wondering what is left to actually eat? Don't worry, there's heaps. "When I'm working with clients I like to focus on what they can have, rather than what they can't have, otherwise it can feel like there's nothing left to eat," McLeod told HuffPost Australia. "Some really healthy low FODMAP foods are things like blueberries, pineapple, strawberries, oranges, kiwi fruit, spinach, tomato, carrot and cucumber." Other low FODMAP foods include bananas, cranberries, grapes, mandarins, oranges, pawpaw, rhubarb, zucchini, bok choy, eggplant, ginger, lettuce, pumpkin, most nuts and many more. "Once you realise what you can still have, it becomes a lot easier. For example, you could still have your fish and veggies, but maybe it's having salmon with green beans and white potato, rather than having it with sweet potato and mushrooms." 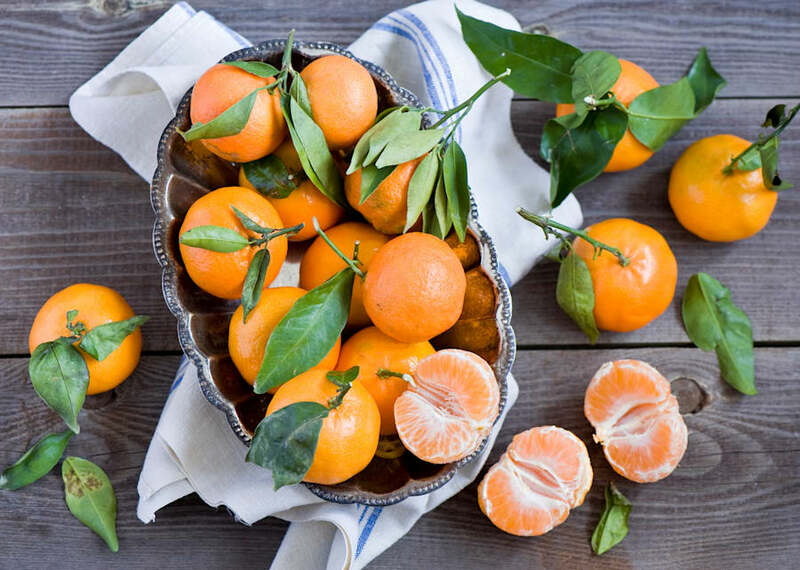 Citrus fruits like mandarins, lemon, oranges and lime are FODMAP friendly foods. If you're reading and thinking "I can't live without mango", you don't have to. A low FODMAP diet doesn't mean you're not allowed to have these foods ever again. "The low FODMAP diet is about working out what your triggers are so you're not removing things unnecessarily. Once you know, it's then about managing that, as well," McLeod told HuffPost Australia. "It's not about never having these foods, it's about reducing the intake to a point where you do feel comfortable. Including only one type of FODMAP at a time allows people to work out what is causing your symptoms. According to McLeod, the reason why there's a bit of leeway with FODMAPs is because IBS is not like having an allergy to peanuts. "It's dose respondent so if you have some then you should be okay, but if you have too much that's when the symptoms start to happen," McLeod said. "It's usually just a few things people can't tolerate, but sometimes people do react to all of them. It is unlucky." "How we do it in our FODMAP Challenge is remove all the high FODMAP foods for 2-4 weeks and see if there's any improvement in symptoms. Once there is an improvement, then what we do is start to do weekly challenges where you introduce one type of FODMAP at a time. There's no one treatment for IBS, and everyone's IBS symptoms and causes are different. "For example, in the lactose challenge we would introduce milk, or in the fructose challenge you can use honey or mango. Including only one type of FODMAP at a time allows people to work out what is causing your symptoms." "You go back to being low FODMAP between the challenges and by the time you've finished all the challenges you know what you react to or what foods didn't give you symptoms." Thanks to social media and more people being aware of their IBS symptoms, the low FODMAP diet has grown in popularity, meaning there's more support and less isolation. "We're quite lucky to live in a world with so many choices," McLeod said. "There's a lot of other foods available -- it's quite easy to get wheat free, gluten free and lactose free products now which are low FODMAP. There's also more people who are able to help people who need assistance. "Yes, it's cutting out a lot of things but there's lots of other options, as well."